This interdisciplinary program builds both breadth and depth as it prepares you for a career abroad or domestic careers that require knowledge of other cultures and languages. As an International Business major, you build a solid foundation of international business principles and then begin to explore more in-depth areas of study that you chose. 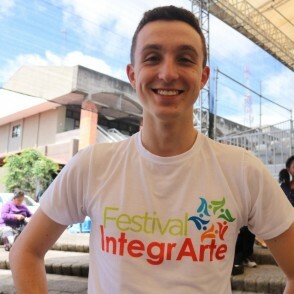 A highlight of this flexible program requires students to focus on a specific geographical area for intensive study: Europe, Latin America, Asia, Africa, the Middle East, or North America. The program requires you to complete business and economics courses as well as additional foreign language study and area studies in departments other than economics. You spend at least one semester studying abroad in the geographic area in which you have chosen to concentrate. The successful completion of a broad interdisciplinary major such as International Business requires considerable forethought and planning. Students should work closely with their academic advisor, the Chair of the Economics Department, and the International Programming office when developing their individualized plan of study. 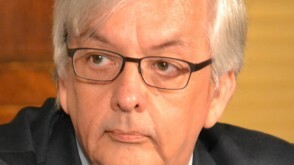 We emphasize intellectual curiosity, creativity, initiative, and synthesis. Every OWU student gains a strong foundation in the liberal arts, which helps develop cultural and critical thinking skills essential in international business. 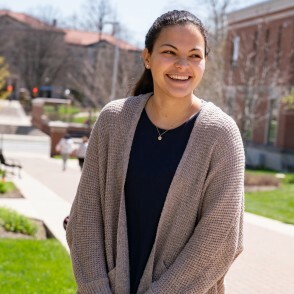 Many International Business students add a second major, and all have opportunities to pursue undergraduate research, performed under the mentorship of expert faculty - a central component of The OWU Connection. 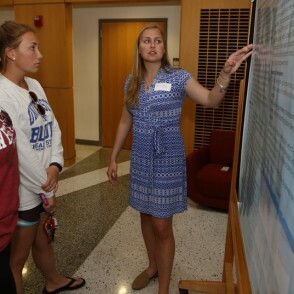 Emily Julius ’16 explored obstacles that Japanese female entrepreneurs must face, researching Japanese females who have experienced entrepreneurial success and conducting qualitative interviews with various Japanese businesswomen. She worked with Prof. Dan Charna. 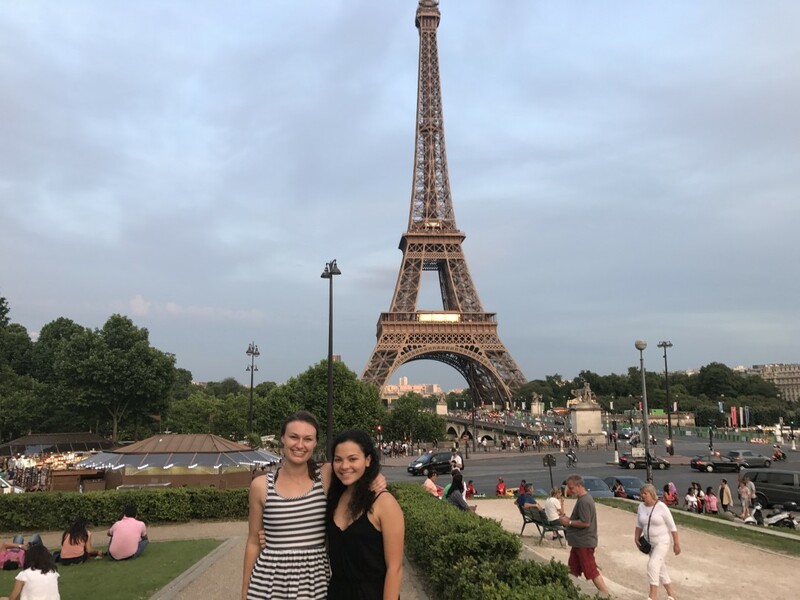 Chloe Holmes ’18 received an OWU Connection grant to travel to France for four weeks to explore the economic and cultural importance of the French local market. 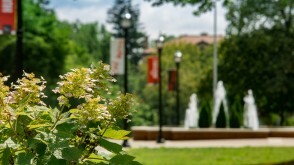 OWU offers a wide variety of ways for you to journey to a distant land and immerse yourself in another culture. Learn how classroom theory truly connects with real-world experiences. 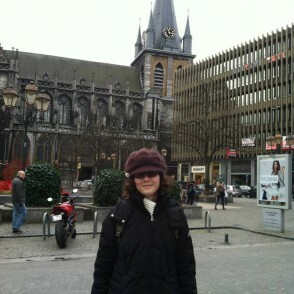 Recent students have studied abroad in Seville, Spain; Brussels, Belgium; and Geneva, Switzerland. 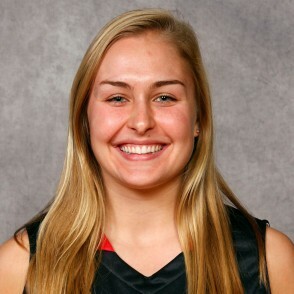 Kellie Garvin 17’, an International Business major and double minor in Spanish and Accounting, spent a semester in her Junior year studying in Barcelona, Spain. 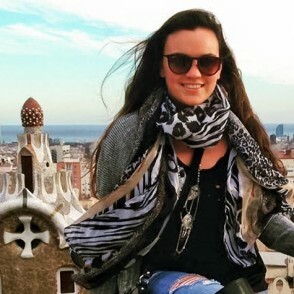 Kellie’s dream career is in fashion and her semester in Spain allowed her to take several fashion courses and experience Spanish culture. 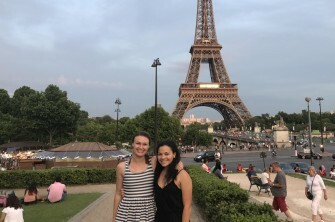 Emi Keiser '15, a triple major in International Business, French, and Spanish, strengthened her foreign language skills by spending one semester in Seville, Spain, and another in Brussels, Belgium. 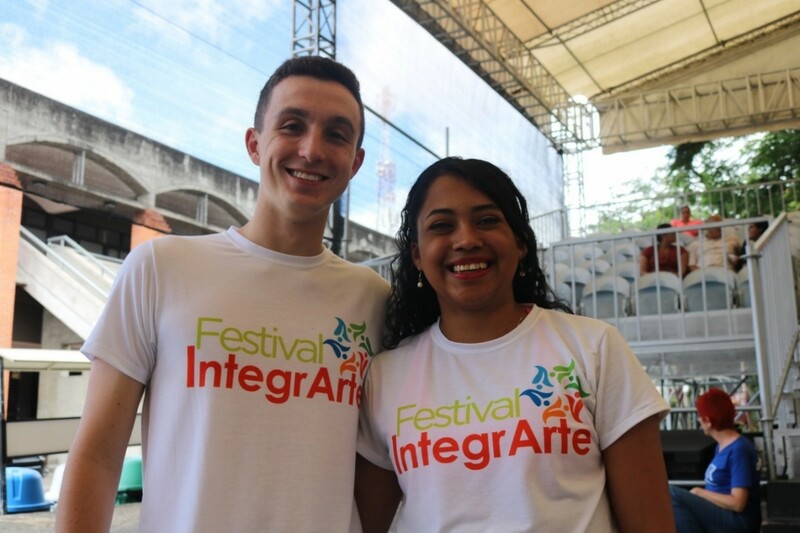 Every International Business student has opportunities to get real experience through internships and personalized projects. OWU students participate in internships from coast to coast and in countries around the world. The Blaine E. Grimes Summer Grant Program for juniors and seniors provides grants for summer internships related to business disciplines. 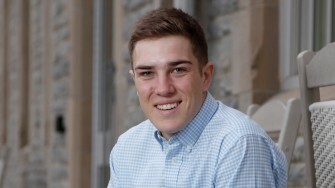 Josh Martineau ’19, an International Business and Spanish double major, used an OWU Connection grant to work during the summer at Fundación Mujer, which specializes in the financial and personal development of female entrepreneurs in Costa Rica. 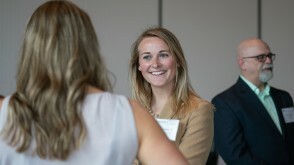 Emily Julius ’16, an International Business major, spent a summer interning for eRetailing Associates. She developed a marketing plan and presented her findings at a national conference in Washington, D.C., through the Ohio Export Internship Program. The International Business major requires travel to the area of the world in which you have completed area studies and language courses. You also may take a Travel-Learning Course or apply for a University-funded grant to complete a project in another part of the world. Recent Travel-Learning Courses in the Department of Economics have taken place in Mexico, Bangladesh, and Costa Rica. 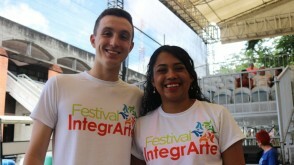 Students have received OWU Connection grants for projects in Brazil, China, India, Nicaragua, Pakistan, and more. 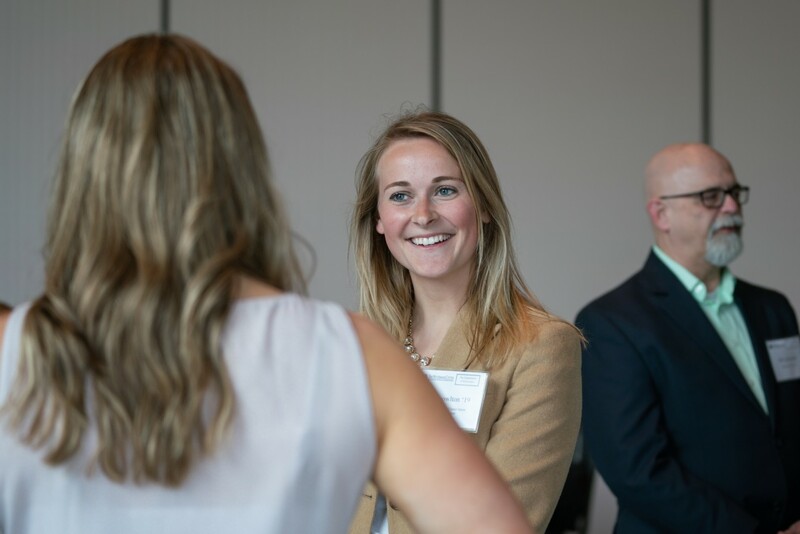 The Woltemade Center for Economics, Business and Entrepreneurship enhances academic programs and real-world opportunities at OWU to create future generations of business and world leaders. 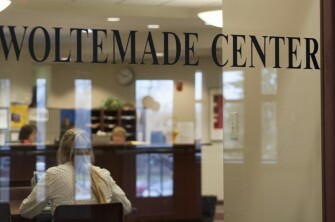 The Woltemade Center provides unique opportunities for students studying in OWU's Economics Department and throughout OWU's many liberal arts based majors and disciplines. Ten to 15 students are accepted each year into the Economics Management Fellows Program. 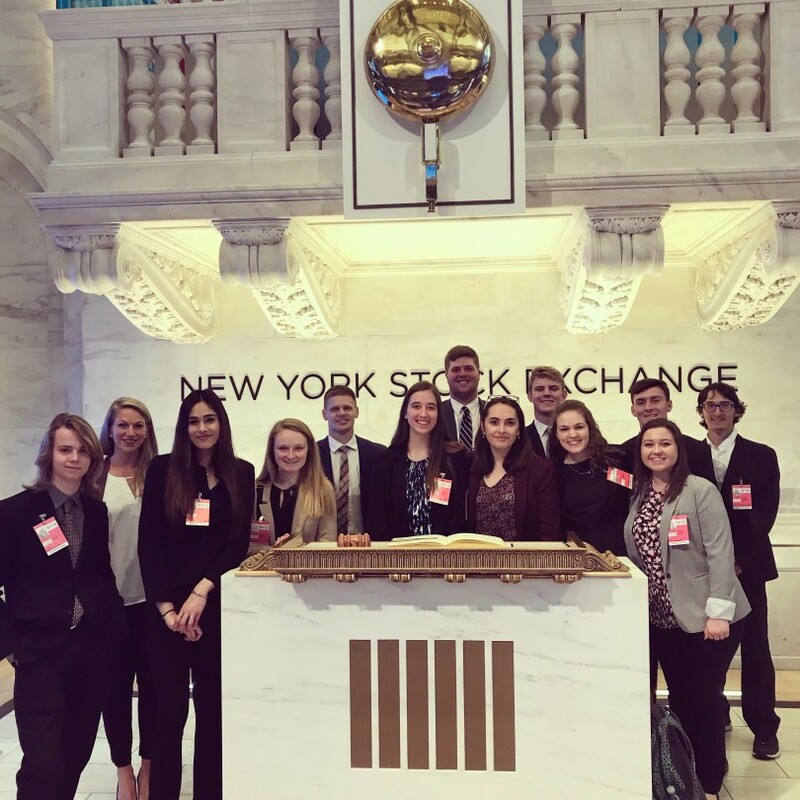 They receive a book scholarship, special advising and class placement, and a four-day trip to New York, where they visit the New York Federal Reserve and the New York Stock Exchange. One of OWU's most coveted competitive awards, the Corns Business and Entrepreneurial Scholars Program provides $5,000 per year for your junior and senior years based on your academic performance, leadership, and proven potential for achievement in business and entrepreneurship. The Norman Leonard Endowed Student Research Grant supports student-faculty collaborative research projects. After graduating, Charles moved on to a position in the accelerated development program at Change Healthcare in Nashville. 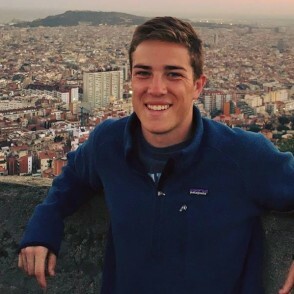 At OWU, he completed an internship at WebMD in New York City; studied entrepreneurship and international marketing for a semester in Seville, Spain; and played on the men's soccer team. Many international and domestic students who major in International Business pursue careers outside the United States. Dung Pham '14, for example, became an investor relations officer with Vingroup in Vietnam. International Business can be a pathway to a variety of graduate school programs. 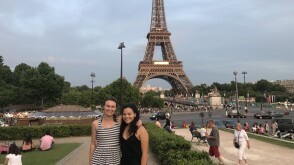 Chloe Holmes '18, who double-majored in International Business and French and received an OWU Connection grant to explore the economic and cultural importance of French local markets, moved immediately to American University to study international affairs. 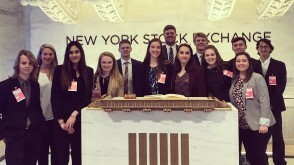 The 2018 class of Economic Management Fellows made a trip to the New York Stock Exchange. Business degrees at OWU are embedded in the breadth of the liberal arts and offer the depth of individual attention.